Nuts have a tremendous amount of nutrition but should be considered a treat or the occasional snack, not a food staple. As you know, a handful quickly turns into a jar and your eat-while-you-cook appetizer soon turns into the main course. They are a good source of protein, carbohydrate, and I’m sure you’ve heard, they have a lot of fat. You’ve probably also heard that there are good fats and there are bad fats. Omega 3, good, Omega 6 not so good. Some Omega 6 is good, too much swimming around your bloodstream can lead to the production of inflammatory things like leukotrienes, prostaglandins, that increase Systemic Inflammation. That said, you have to look at the food as a whole, not just at its good and bad components, to judge what the total package offers. There’s a ton of phosphorous, potassium, calcium, magnesium, B vitamins, (esp. 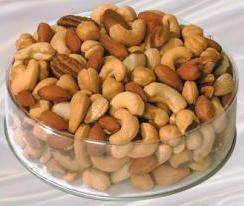 folate), and Vitamin E in nuts, which in turn, decease Systemic Inflammation. So, not to many, and choose your nuts wisely. Not all nuts are created equal. Nuts in their raw form is the gold standard. As with any food, closer to the original source is always better. Unadulterated and pure. Roasting nuts doesn’t change the vitamin or mineral content or availability, but heating them too high for too long can cause the oils to oxidize or become rancid. 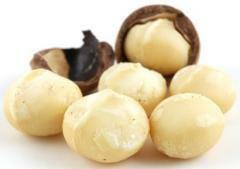 Also, many times nuts are roasted with cottonseed or soybean oil. Pass on those types. The antinutrients I spoke of above are slightly diminished through soaking. This is especially important tactic for those with a sensitive gut, the gluten intolerant, or celiac. Some people actually prefer the flavor. Soaking raw nuts in with a little salt in the water overnight and then drying immediately at a low temperature for an hour or so is the way to go. Almonds are the most commonly soaked nut, but others like walnuts, pistachios, hazelnuts, and pecans work too. Almond Butter, Cashew Butter, and even Macadamia Nut Butter are all tasty staples that belong in the kitchen or office. Convenient and easily added to shakes or baked goods. 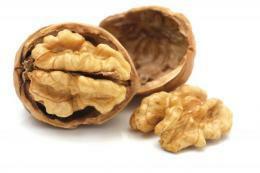 The nut in itself is pretty much a complete and delicious food, just don’t overdo it. Too much of a good thing can come with side effects. Here’s a short list of the bad boys on-board with nuts and why they are a snack, not a staple to choke down as many as you can. Phytates and Lectins do come aboard with nuts, some more than others. Phytic Acid is highest in Brazil and almonds. This is a toxic substance produced by a mold present in different levels in most nuts. Humidity, harvesting, storage, and age all play a role in the amount, but peanuts are by far the worst offender, which, as you know is not a nut anyway, it’s a bean. Cashews and Brazil nuts carry a lot too. Producers have done a lot in the way to control this in the last decade.